If you ever watched TLC’s popular “Extreme Couponing” series, where everyday people used coupons to save hundreds of dollars in grocery stores, you’re already familiar with the concept of extreme couponing. In case you never saw the show, the premise was simple: Each segment began in a couponer’s home — where we got an inside look at the person’s massive stockpile of coupon-bought items — and ended with a trip to the local grocery store, where couponers proved themselves in the checkout line. Grocers totaled their hundreds of items, applied coupons and crunched the final savings numbers. The best extreme couponers could shave more than 90% off their subtotals — and some even received money back. After falling in love with the idea of paying a little for a lot of stuff, I decided to try extreme couponing for myself — without doing any research. I quit after only three weeks. Extreme couponing is extremely demanding, extremely time-consuming and, worst of all, extremely different from how it’s portrayed on TV. But I did learn a lot from the experience. Here’s what happened during my three-week experiment. I began my first week of extreme couponing on a Sunday, the day the coupon-loaded newspaper is distributed. Realizing I didn’t have a newspaper subscription (oops! ), I drove to my local dollar store to pick one up, brought it back home and began the tedious process of clipping coupons. After two hours, I had successfully gathered a handful of coupons for items like laundry detergent, toilet paper, deodorant and vitamins. The coupons were for brands I didn’t normally use. Did I have to sacrifice brand loyalty for savings? The coupons had expiration dates. How was I going to use them in time? What would I do with the coupons I didn’t want? Just throw them away? Manufacturer restrictions prevented me from combining coupons. How could I save hundreds of dollars if I couldn’t combine coupons like they did on the show? Where the heck would I put all these coupons?! Mildly overwhelmed, I shuffled my coupons into a pile and deposited them in my closet. I was far from being an extreme couponer, but I wasn’t doing too badly. I just needed more coupons — a lot more coupons. So I spent the rest of the week gathering the coupon inserts that arrived in the mail. I also scoured store websites for sales. Did Publix have a sale on yogurt that week? Was Target discounting lipstick? Was Walmart slashing the price of cereal? To keep track, I purchased a small notebook for $2 and scribbled down everything I wanted to remember. By the end of week one, my coupon pile had grown to just under 30 coupons. I decided to keep building my collection as I entered week two. On Sunday, I took another trip to the dollar store for a newspaper. This time, I was fully prepared for the coupon-clipping tedium… but not for what I found when I ripped out the coupon section. Many of the coupons were the same ones I’d clipped last week! And since I couldn’t combine them, I would have to use them in separate transactions, which would restrict my savings. Darn it. It was a small setback, but not the end of my couponing world. I focused on clipping new coupons and adding them to my pile. As I looked over my spoils, I noticed that two coupons were expiring that week. I’d have to use them soon or lose them completely. Refusing to accept the latter, I made a special trip to the store to buy the items, even though I didn’t need or want them. I used a 50-cent-off coupon for laundry detergent priced at $6.99 and a 55-cent-off coupon for toilet paper priced at $9.99 for a transaction that resulted in a 6% savings – a far cry from the 90% bar set on the show. Not thrilled, I spent another hour clipping coupons from the weekday inserts and another two hours browsing store websites for sales. As week two came to a close, I was beginning to question whether couponing was for me. By the third Sunday, my stockpile contained exactly two items: laundry detergent and toilet paper. I purchased the Sunday newspaper, clipped new coupons and again, added them to my pile. I decided to invest in a coupon book so I could organize my finds by product type and expiration date. Lacking a coupon for a coupon book, I snatched one up in Walmart for $6.96 and spent two hours carefully placing my coupons in the little slots. By this point, I was running low on patience, so I began planning the largest shopping trip I could with the 70 or so coupons that I had. After three hours of planning, I abandoned the idea. I realized I didn’t have enough coupons to save a lot of money. And since I couldn’t combine coupons, the exercise seemed even more futile. Plus, very few of my local stores were running sales on items that I actually had coupons for. As week three came to a close, I decided to end my couponing journey. Extreme couponing is not impossible, but it does require hours of preparation and practice, a bit of investment and dedicated storage space – especially if you’re a newbie like me. After three weeks, I had sacrificed roughly 50 hours, $29.39 (for newspapers, a notebook, a coupon book and my two-item stockpile) and a good portion of my closet to finding, clipping and sorting coupons. And I’d saved $1.05. But that’s not all. I also realized that extreme couponing requires realistic expectations. Soon after I stopped couponing, I learned that participating stores on shows like “Extreme Couponing” allow coupon doubling only during filming — meaning real people won’t be able to achieve the same savings they see on TV. In fact, money-saving shows like these have inspired many stores to drastically restrict coupon use. Download apps that allow for easy coupon searching. RetailMeNot is quickly becoming one of my personal favorites. Many of these apps allow me to pull up usable coupons while standing in the checkout line. Follow my favorite brands on Twitter and Facebook for coupons and special savings. This also lets me maintain brand loyalty! Email brands directly, provide positive feedback and request coupons. Brands like Aleve, Folgers and Kraft are known to reply to coupon requests. Shamelessly follow these four super simple steps. 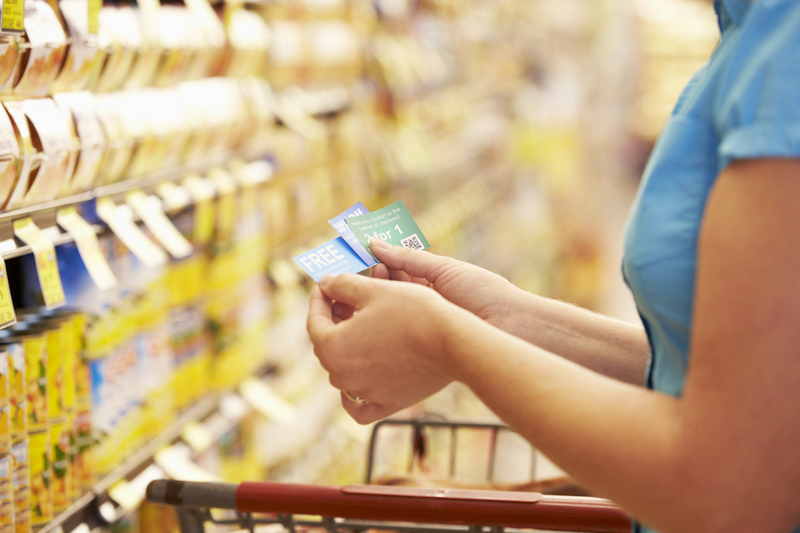 Your turn: Have you ever tried extreme couponing? Were you successful?